She went on to elaborate that the Personal and Corporate Gift Wizards perform essentially the same functions, just a little differently to cater to people who tend to buy one gift versus companies that tend to coordinate dozens – or even hundreds – of gifts at once. The new tools allow customers to easily shop for only the gifts that are relevant to them. Customers can type in their countries of delivery, their budget, and other details, and the Wizard will provide gifts that meet their specifications. In just a few minutes, after filling in a few very simple drop down fields, customers will now be greeted with a screen filled with gifts that are exactly what they are looking for. This allows each shopper to customize their experience and make the checkout process even faster. Of course, the team at GiftBasketsOverseas.com understands that there’s something to be said about getting to browse through all a country catalog has to offer on your own. So, those have gotten an update too. The servers have been beefed up and the GBO catalogs are getting new gifts added to them constantly, bringing its customers the biggest selection of high quality gifts around the world. But GiftBasketsOverseas.com refuses to let its technology surpass its human connection. While other companies are focusing hard on automated answering services and robotic chat programs, GBO has instead improved its customer service team and invested in employee training to make them as effective as possible when it comes to helping customers over the phone, through e-mail, on chat, in social media, through WhatsApp, and more 24/7. This is especially crucial now when customers have so many questions about how to make sure their holiday gifts arrive on time. GBO is looking forward to an especially busy winter season and hopes it can use customer feedback to create an even more impressive 2017. GiftBasketsOverseas.com is an A-ranked, BBB-accredited company based in the United States that specializes in delivering superior quality gifts to over 200 countries. GBO strives to provide online ordering convenience, excellent multilingual customer service 24 X 7, and secure payment options. Learn more at www.GiftBasketsOverseas.com, like GBO on Facebook, or follow them on Twitter. We work with a lot of different kinds of people here at GiftBasketsOverseas.com (GBO). But by and large, our favorites have to be romantics and geeks. We know when we’re dealing with a ‘geek’ right away. They always know what they want, have specific instructions, and are easy to do business with. Their orders mostly consist of new technology or practical household items like a brand new model of a phone, a camera, iPad, Xbox, large TV with LCD screen, or even a washing machine. Romantics are just as easy to spot, and the gifts are just as varied! Their gifts, from chocolates to flowers, to jewelry, all have sentimental value, even if it’s not easy for our team to spot right away. Once we had a call from a customer who wanted to order a valet stand for trousers. A ‘geek’ or ‘romantic,’ it’s hard to say, but here’s her story. She was celebrating her 20th wedding anniversary with her husband and decided to give him a gift with a double meaning. As an office worker, her spouse has to wear suits to work every day. After so many years together she must have been a little tired of steaming those trousers for him, so she decided to give him a valet stand. With this new gift, he would not only remember where he left his trousers last night but also look neat every morning on his own. Was this smart woman giving a gift to her husband or herself? It’s tough to say. Last summer we received a request to send a gift not in a regular wrapping paper, but in chintz. The customer explained that her son was celebrating his first wedding anniversary and in their culture the first anniversary is called the Chintz wedding. Given the name it was easy to understand why it’s considered good luck if the anniversary gift is wrapped in this specific fabric. We were more than happy to follow the tradition and helped the client get what she wanted. Other ‘romantics’ have quite a sense of humor. Several months ago we had a special request to deliver a… hair tie. Yes, as simple as that. The customer admitted that he promised his girlfriend a hair tie because she was constantly losing them and asking him for help finding it. He was hoping that if he gave her a hair tie as a gift delivered to her office at work along with a bouquet of red roses she’d be more careful and wouldn’t lose it that quickly. Well, we hope he was right. Chocolates, flowers, and more traditional gifts are all great! But there’s something to be said for a gift that is a little odd and deeply personal. It just reminds us that no matter how big or small a gift is, it’s the story and thought behind it that determines how truly unforgettable it is. Now, You’re All Ready For Romance – What’s Next? Start preparing for upcoming romantic occasions. Browse romantic gifts to USA, UK & 200 countries, and make sure your gifts are delivered on time! Get ready for Valentine’s Day with these Creative Valentine’s Date Ideas. 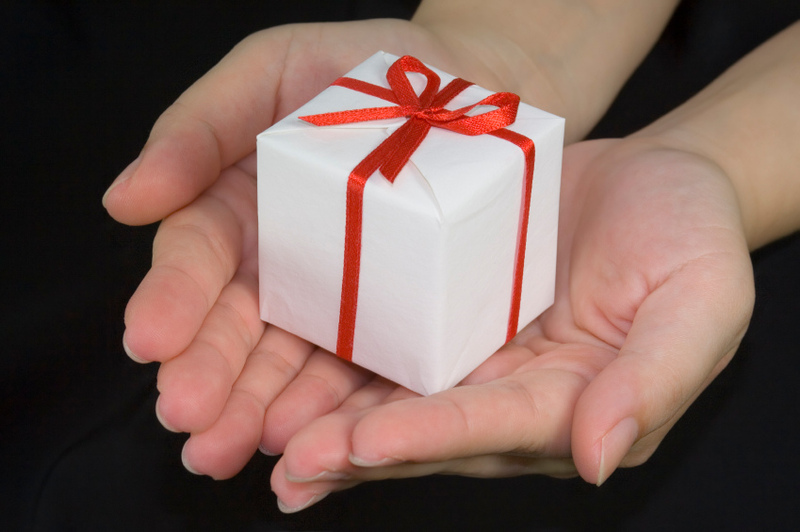 Why Giving Really Is Better Than Receiving! We’ve all heard people say that it’s better to give than to receive, but would you believe that being generous is tangibly good for you? That’s right, according to Dr. Devin A. Byrd, Behavioral Sciences Department Chair at South University, there are mental health benefits to altruistic behaviors, and gift-giving is definitely among those. From searching for just the right gift to fit your loved one’s personality to wrapping it and sending it, the very act of shopping for someone else provides “an emotional lift,” according to Dr. Byrd But even more than the ‘feel-good’ quality of giving, your generosity sparks positive memories of the person you’re shopping for which also provides a mood boost. 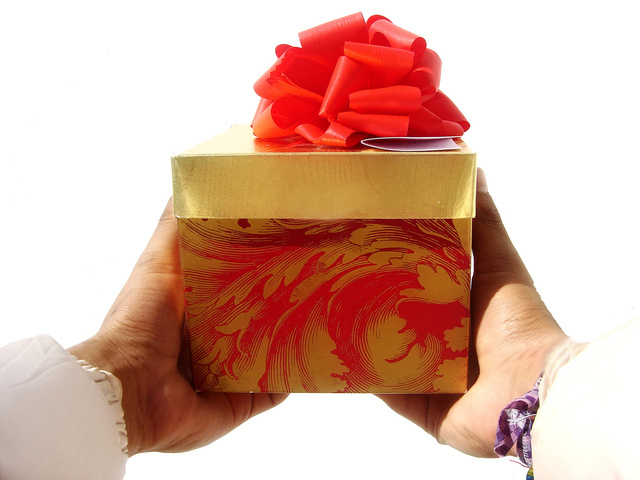 Another bonus is that the gift itself creates a noticeable link between the two of you. Especially in this modern age, when many people will celebrate holidays at a distance from one another, the act of sending gifts when you can’t be there is a way to strengthen bonds. And of course, there’s nothing more important to mental health than your social support network. Gift-giving is a way to help keep it strong even when they’re far away. You may be saying, “Okay, that’s great – yes, it feels good to send a gift, but it isn’t like it has any physical health benefit, right?” Wrong! There is a ton of research showing that those who are generous on a regular basis (i.e., they help out a charity, they perform random acts of kindness, they surprise people with gifts, etc.) are healthier and live longer. 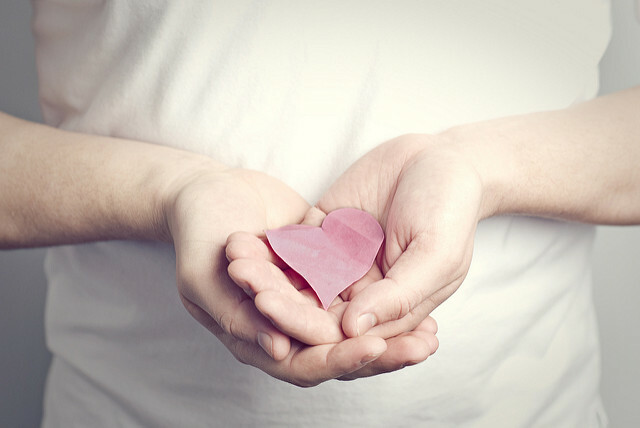 Stephen Post, professor of Preventative Medicine at Stony Brook University, found that regular generosity had a positive impact even on people suffering from chronic illnesses. You might ask, “How does that work?” It turns out that things like shopping for another person, spending time helping them, and even talking to them during a time of a need, turns your focus from your own day-to-day life, and onto the other person. Researchers think that this reduces internal stress. Stress and the cortisol it produces are major factors in the development of almost every chronic disease you can think of. Reducing stress is directly linked to better health. But perhaps the best way that giving is good for you is that it generates a sense of gratitude. “Of course it does,” you might say, “when you send a gift or spend your time, the person you give it to is thankful.” And yes, that’s true, but gift-giving also invokes a sense of gratitude in the giver! When choosing a gift, or thoughtfully supporting someone we care for, we’re often also expressing that we’re grateful for that person’s role in our lives. This creates a cycle of contentment, stress-reduction, and even creates a hormone called oxytocin, which is responsible for making us feel connected, warm, and empathetic. I know the holiday shopping can sometimes seem like a chore, with crowds, planning, and the time crunch, but we hope this little PSA will help you keep in mind that’s not all it’s about. For every gift you decide to send, you’re recalling fond memories, reaching out to the ones you care about even from afar, and you’re preparing yourself a big dose of happiness. So when holiday shopping looks like a mountain of work remember how very true it is that it is better to give than to receive – and science proves it! Now, You’re Almost Ready to Give – What’s Next? Schedule your gift now, so you don’t forget. Browse Thanksgiving Day gifts to USA, Canada & 200 countries, and make sure your gift is delivered on time! Start planning your New Year’s with these Unusual Airbnb Spots for New Year’s Eve. There’s a time around the globe when millions of people fill the world with candles, colorful lights, prayers, and gifts of goodness to one another – it’s Diwali, or the Festival of Light, and it’s the most important festival of the Hindu religion. For five days every fall, warm flames big and small shine to represent the triumph of light over darkness, everyone exchanges gifts, and there are great feasts to share. This year, Diwali also coincides with the Hindu New Year, so we’re going to help you celebrate with your complete guide to finding the perfect candles for the Festival of Light. 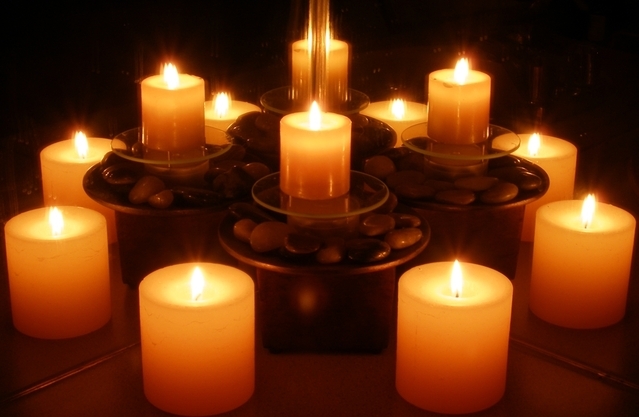 In the past, people used candles primarily for light, but today candles have become so much more. So many types of candles exist these days, and they’re no longer limited to the practical aspect of surviving in the darkness. Besides their decorative value, and the ability to create a certain ambience, candles can have an incredible effect on your mood. You can use candles to bring a whiff of aromatherapy into your space; the many fragrant essential oils used in modern candles can help you to relax, rejuvenate, cheer up, or energize. With so many types of candles on the market available to us, how can you choose the ones that are safe and beneficial for your health and environment? Which candles last longer and don’t drip? 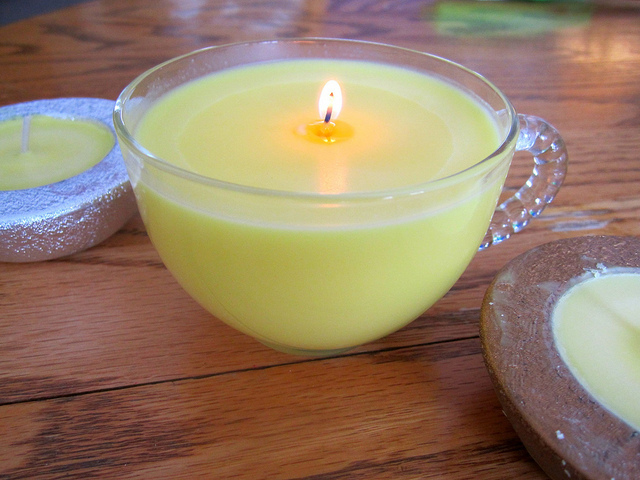 What is the difference between beeswax and soy candles? 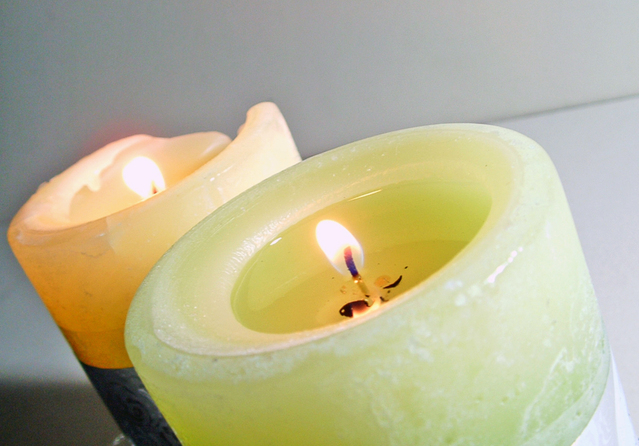 Why are paraffin and palm candles the least expensive? To answer these and other questions, we’ve compared different types of candles and made a list of the pros and cons of each one. Beeswax – is the most natural of all waxes produced by honey bees. It can be used in almost any form, it’s easily moldable, and doesn’t droop. Is non-toxic, burns clean with no sticky, black petroleum based soot. Doesn’t require the use of fragrant oils since it has its own natural aroma which actually has a positive effect on our nervous system. Like the taste of honey the scent can vary depending on what flowers the bees had access to. 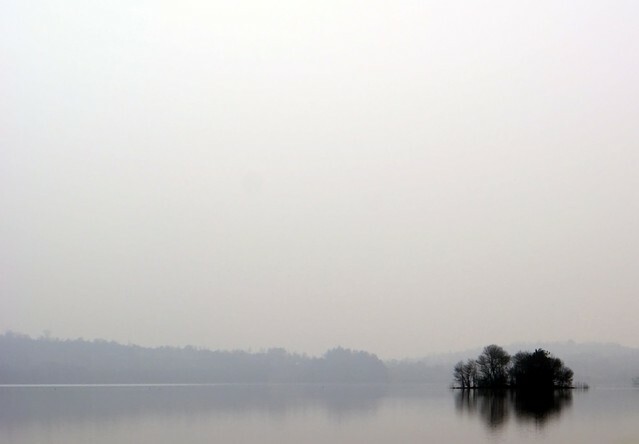 Is a natural air cleaner as it produces negative ions, which help remove air pollutants. It contains propolis – a unique ingredient beneficial for our health. Burns and lasts longer than other candles. It takes about 10 pounds of honey to produce one pound of beeswax. 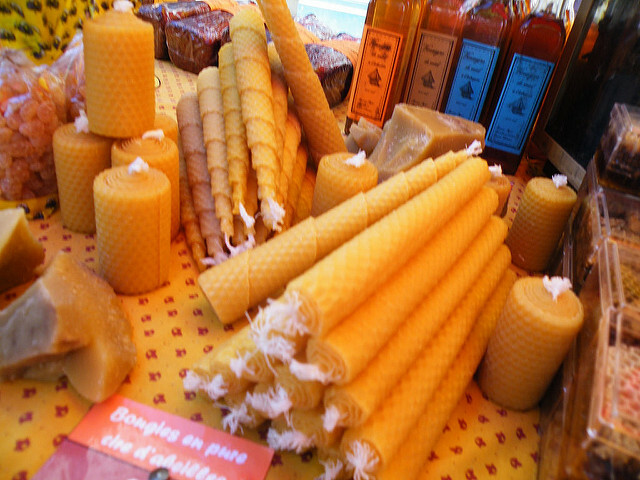 Taking the beeswax from bees and using it for candle-making contributes to bees’ extinction. They are the most expensive type of candles. Soy – made from vegetable hydrogenated soybean oil. Natural & nontoxic when burning. It burns 50% longer, cooler, and more evenly than other waxes, leaving almost no excess wax in the jar. Water soluble, so it’s easy to clean off surfaces. Because of the lower melting point of soy wax the scent is much stronger and does not require extra chemicals. Biodegradable and a renewable resource. It takes about 60 pounds of beans to make 11 pounds of oil. Almost all soy beans are genetically-modified and are grown with the use of pesticides and harsh chemicals. Most soy candles are not 100% soy, and contain a high percentage of paraffin. Even a 100% soy wax candle must be processed with a certain amount of paraffin. So, when burning a 100% soy candle small amounts of the carcinogens and toxins found in paraffin can still be potentially released. More expensive than paraffin candles. Paraffin – a by-product of the crude oil refining process. Can have low, medium, and high melting points making it the most versatile wax. The least expensive type of candles. Burns very hot and fast. As dangerous as petroleum. Paraffin candles release 11 known toxic carcinogenic chemicals into the environment, including toluene and benzene, which contribute to global warming. Produces the most soot of all the waxes. Petro-carbon soot released from burning stains walls, furniture and is circulated through your air ducts. Not made from a renewable resource (petroleum is in limited supply). Palm Oil – made from palm fruit that is grown on African palm oil trees. Used to harden other waxes and blends easily. Can withstand high temperatures and don’t melt when not in use. The environmental impacts of using any palm products are devastating. Deforestation and slave labor are just two major concerns important enough to choose other types of candles over candles made of palm oil. The wick in the candle is probably as important as the wax. The highest-quality candles use only 100% cotton wicks. They burn evenly, slowly, and don’t smoke as much as wiry wicks. But the most important, they don’t have some poisonous chemicals like other cheaper options. A pure hemp wick is a good alternative to cotton. When choosing a candle we usually pay attention to two things: design and smell. Probably the greatest factor to consider in your purchase of candles is usually how they are scented. But did you know that synthetic, petrochemical-derived fragrant oils used in cheap candles are extremely dangerous for your health? Organic, pure essential oils on the other hand are the least harmful for us when burning, and also the least harmful to the environment when sourcing. 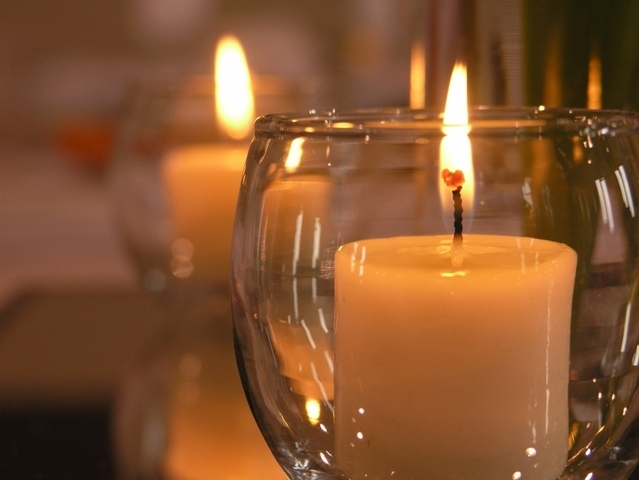 While these tips are great for Diwali, candles are useful for so much more. Many other holidays and special events use them. Make sure when you make your pick for this holiday, you buy in bulk to be ready for that next special event. Schedule your gift now, so you don’t forget. 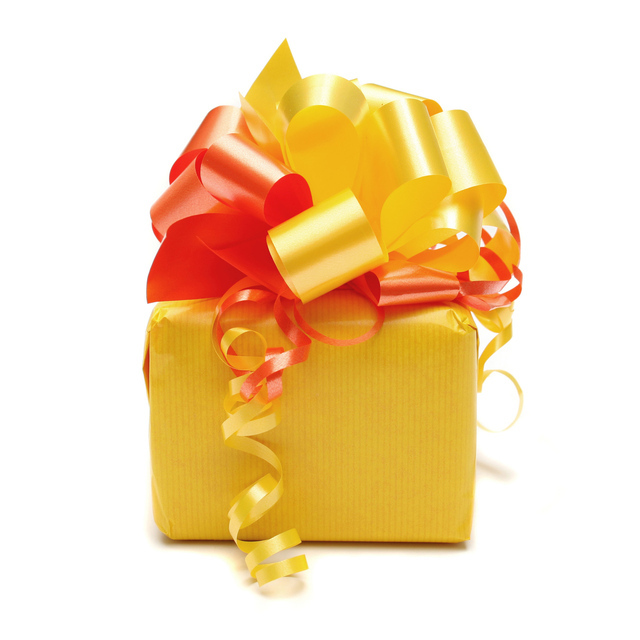 Browse gifts to USA, UK & 200 countries, and make sure your gift is delivered on time. With a few extra candles around you can easily set up an impromptu romantic dinner for you and your partner (Read our Creative Valentine’s Date Ideas). Or, if the power goes out you’ll be ready to tell fun stories and make shadow puppets with the whole family, rather than spending a night bumping into tables. After so much work to make everything perfect for your loved ones, make sure you take a few moments for yourself and buy an aroma therapy candle for your alone time. You’ve earned it! Your friends deserve to know this too, don’t forget to share by clicking the share buttons below. Real or not, imagination or something else, scary stories are a thrill and there are none better than those told about real places. Haunted houses, castles, forests, churches, playgrounds, they’re all just a little easier to believe right around Halloween. So what are the best hot spots? A quick Google search will probably lead you to local tales, or a real hot spot of reported activity just a few hours’ drive from where you sit. There’s no real rating system, ghosts aren’t real . . . Right? Just in case, here are 9 spooky locations you might want to avoid! Aokigahara, Mount Fuji, Japan – Maybe you saw the movie, but the real Aokigahara is too beautiful, majestic, and yes creepy to be portrayed by any film. This swath of 13.5 miles of dense trees and even denser undergrowth sits beneath Mt. 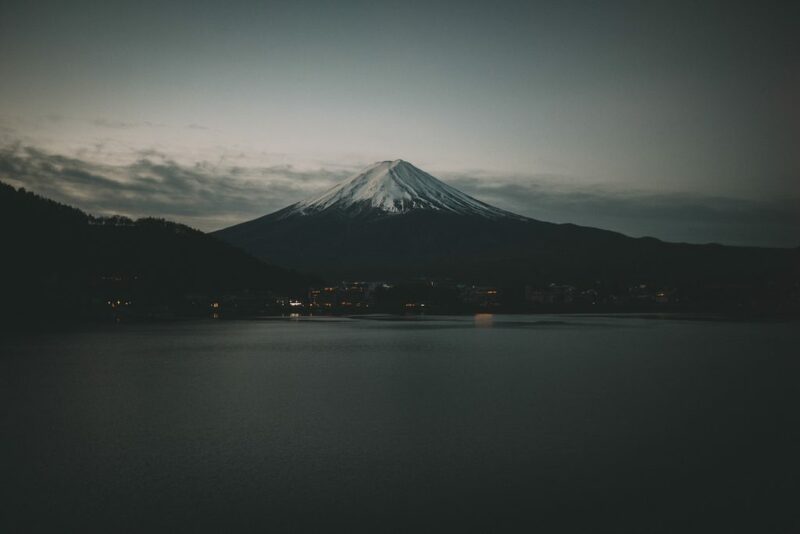 Fuji, and even without knowing its history, just a glance is sure to take your breath away. Local legend and popular tourist tales tell a different story of people coming to this sea of trees with the intention of committing suicide. The stories have spread and more and more people flock to this forest to see what it’s all about, fewer come out. Rumor has it, you can catch glimpses of the people who chose to spend their last moments here, and it’s certainly easy to see how you can feel like there’s something or someone else with you when you’re standing in the middle of this much overgrown nature. Beechwood Lunatic Asylum, Victoria, Australia – originally known as Mayday Hills Lunatic Asylum, this complex of more than 60 buildings housed the mentally ill for 128 years before closing its doors in 1995. Like most asylums, Beechwood has a long and complex history that leaves a lot of people with more questions than they started with. Visitors have reported seeing a figure of a man who shows up near the cellar only to completely vanish once you’re almost sure he’s there. Other tales include the usual bumps, scrapes, and noises you can never quite explain, and aren’t really sure you want to. With such a long history and sprawling landscape it doesn’t take much imagination to understand how anyone could get lost, overwhelmed, and scared out of their minds. Paris Catacombs, Paris, France – If ghosts have rules they certainly include something about graveyards. 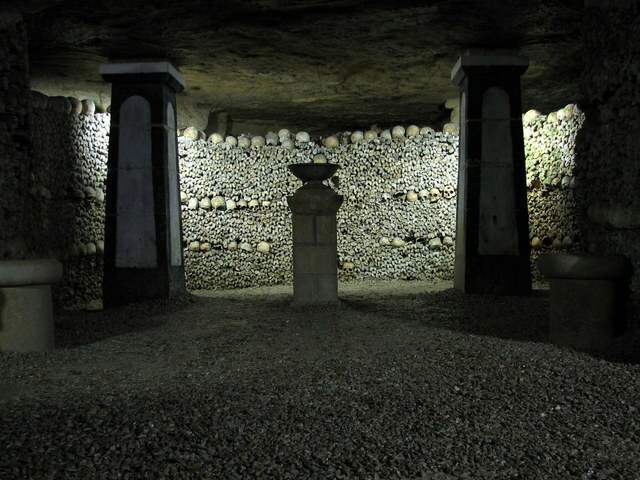 No resting place is quite as ominous and vast as the Catacombs of Paris. These underground ossuaries were made out of the skeletons of collapsing mines in Paris and house the remains of over six million people. Since the early 19th century, people have been coming to look at this underground wonder. Some to pay their respects, some to seek answers to questions on death, and more still to see if they can find something to make them question what they know of the world. Whatever draws you there, make sure you go on a guided tour. Not all of the tunnels have been mapped, and even experienced tour guides have to be extra careful to not get turned around and wind up lost forever. Castle of Good Hope, Cape Town, South Africa – Built in the 17th century, this Dutch East India Company fort is the oldest existing colonial building in South Africa, and it’s now considered the best-preserved building of its kind. Like most colonial buildings, the structure wasn’t popular when it was raised and it hardly got more popular as the surrounding people were oppressed. With so many bad feelings and spilled blood drenching the history of this building, it’s understandable that many people feel instantly uneasy as they tour the grounds. Reports even include testimonials of those who see vicious dogs jump at people (although no dogs are kept on the grounds), and men marching around that seem to appear and disappear into nowhere. Eastern State Penitentiary, Pennsylvania, United States – This former American prison operated from 1829 until 1971. The wagon wheel design and all of the building’s features were built to minimize privacy, maximize security, and ensure that prisoners never forgot that they were in a place meant to make them to pay for their crimes. 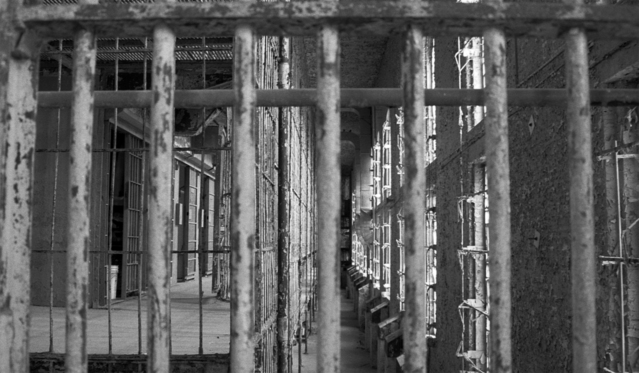 The history of the prison is long and sordid, with tales of misconduct from both the jailors and the prisoners. 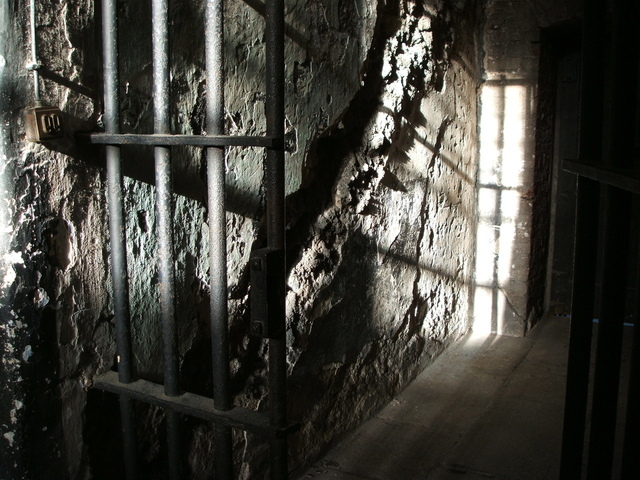 Many people have reported seeing ghosts of inmates that died, doors closing or opening on their own, having their hair pulled by invisible people, and more. The building tours do little to discourage these rumors, embracing its spooky status and offering haunted tours around Halloween. Poveglia Island, Italy – This is a small island that has been used as a dumping ground for centuries. But rather than trash, it was unwanted people that were abandoned. In the 1300’s, the sick, dying, or dead were brought here to keep them away from people who were healthy. 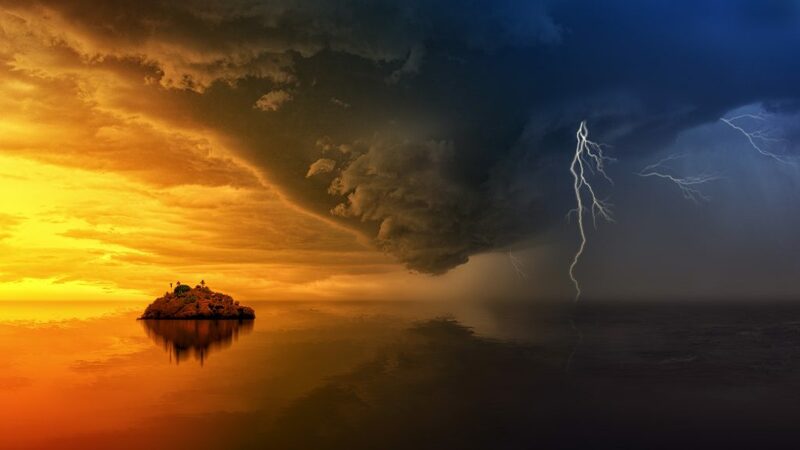 In the 1800’s, the island was repurposed as a place to care for the mentally ill, and it is rumored that in the 1930’s a doctor was performing weird experiments on the patients there. After a brief stint as a geriatric center during the middle 20th century, the facility and the island were abandoned entirely. Tourists and locals were banned from visiting the place, and recent attempts to try to revive the hospital building were abandoned. No one knows why. 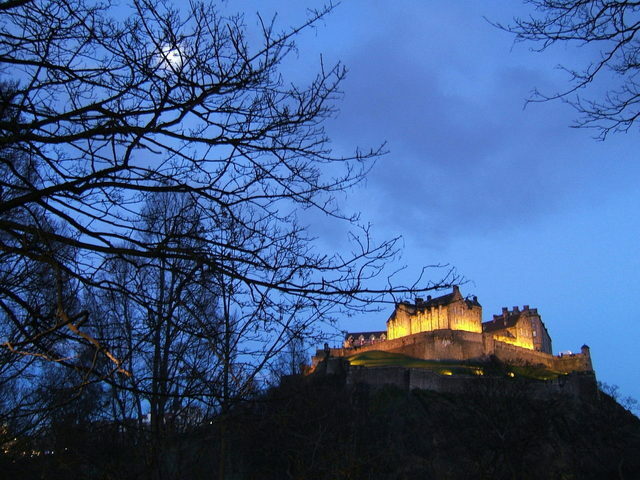 Edinburgh Castle, Edinburgh, Scotland – This historic fortress leaves a lasting impression on everyone who visits. The building has been standing since at least the Iron Age (2nd century AD) and while the nature of the early settlement is unclear, there is no question that the people who built it were impressively skilled. The castle has been used, if not as housing for lords, then as a barracks for soldiers, and the history it has built up is impressive. Used to house prisoners during the Seven Years War, the American Revolutionary War, and others, it is clear that this larger than life structure has seen every side of humanity. Visitors report feeling threatened, seeing shadowy figures, drops in temperature, and even something touching them. Maybe they just read too much about what happened here or didn’t see a small hole that let in a draft. Maybe they ran into a spider web. Or maybe, just maybe, they ran into something else. Old Changi Hospital, Changi, Singapore – This hospital was built in 1935 by the British and doubled as barracks. During WWII the facility was overtaken and captured by the Japanese. They went on to use Changi Hospital as a prison camp where they carried on intense questioning of prisoners, even brutal torture. It seems the screams of these people never managed to escape the walls, as it’s one of the many things visitors report experiencing, along with sightings of bloody soldiers, phantom smells, and crying. With erratic electricity and various other weird events, it’s no wonder many feel uncomfortable entering the building. 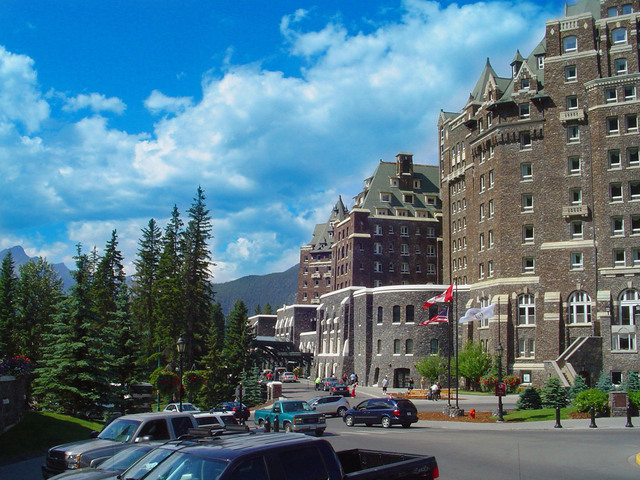 Banff Springs Hotel, Alberta, Canada – This hotel was built over 125 years ago by the Canadian Pacific Railway as a place to entice travelers and help visitors indulge in a taste of luxury. Behind its picturesque landscape and furnishings, though, lies a not-so-pristine history. 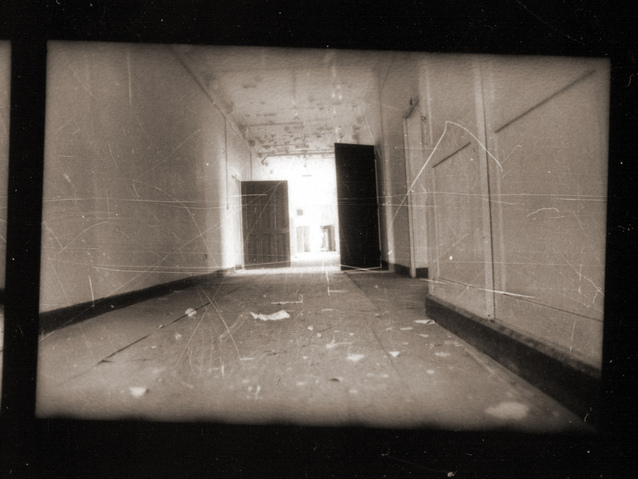 A favorite story told by locals is the tale of room 873, where it is said that a family was murdered. The stories of this room grew quickly. Visitors to the room after the supposed murder reported screams, bloody handprints, and more. Eventually, the hotel staff decided it was best to get rid of the room completely and they sealed it off, finishing the brick with drywall to make it – almost – disappear into the rest of the hallway. The hotel is still functional today, but the staff won’t tell you anything about room 873. However, many visitors still report seeing the family and other mysterious things in the hall. Now, You’re Almost Ready for Halloween – What’s Next? Schedule your gift now, so you don’t forget. Browse Halloween gifts to USA, Canada & 200 countries, and make sure your gift is delivered on time! Interested in a very scary vacation? Read about Fall Vacation Spots with Spooky Thrills. You’ve read this far, we’re sure you have a friend who’d like to have a terrifyingly good time too. Click those share buttons below. October is here, with longer nights and a chilly wind, and while people in the US are gearing up for Halloween, many others around the globe are also trading ghost stories. What if you could make those spooky stories come to life for you and your family? If you dare to be scared, we’ve got some terrifying travel plans that will keep you and your family on the edge of their seats (in a safe, fun way of course). One of the best reasons to go on a ghost-hunting trip is that October isn’t a traditional vacation month, so right now flights are cheap. Hotels are cheaper too, and if you’re willing to vacation during the week, you can get some of the best rates ever on a getaway for you and your loved ones. Plan a bonding trip for the company, get out with friends, or take the kids somewhere more adventurous than Disneyland. If you love all things that go bump in the night, try planning your vacation around these possibly haunted locations. They love tourists and offer the best of haunted (and not) sightseeing. You can go antiquing by day and ghost hunting by night at these scare-tastic locales. Aokigahara, Mount Fuji, Japan – Mt. Fuji is a wonder in its own right. Bustling with a dizzying array of local hotels on either side of the mountain, you’ll find staying near this world wonder is easy. There’s plenty of public transportation to help get you to and from major shrines and hot springs. Just remember, if you do travel outside of the climbing season of July-August, you’ll need to plan a bit more carefully since some of the public transportation options stop. Once you’ve got the local travel handled though, you can enjoy a panoramic spa like Yurari. The temples and guided tours are nearly endless, and the local shopping is bursting with options too plentiful to fit in your suitcases, even if you bring a spare. 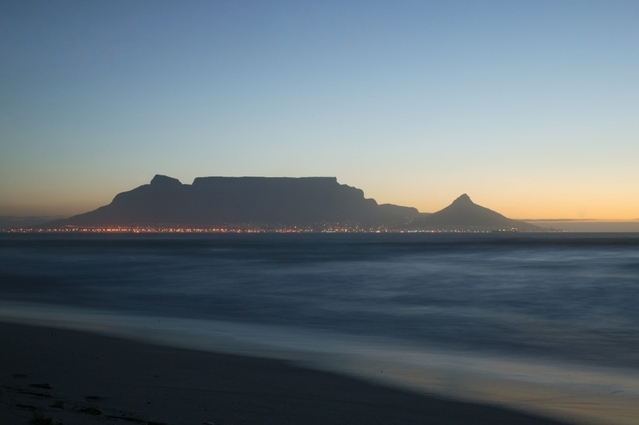 With so many regular tourist options, there’s already plenty to do for the whole family. But if you’re looking for something unusual, beautiful, and spooky you don’t have to go far. At the base of the mountain sits Aokigahara. With 13.5 miles of dense trees and even denser undergrowth, this forest is sure to entrance you. Listen to the locals and do a quick Google search, and you’ll find that this forest is a notorious spot for suicides. The more the stories have spread, the more people have come to visit this absolutely haunting location. Rumor has it, many of these people never come out. 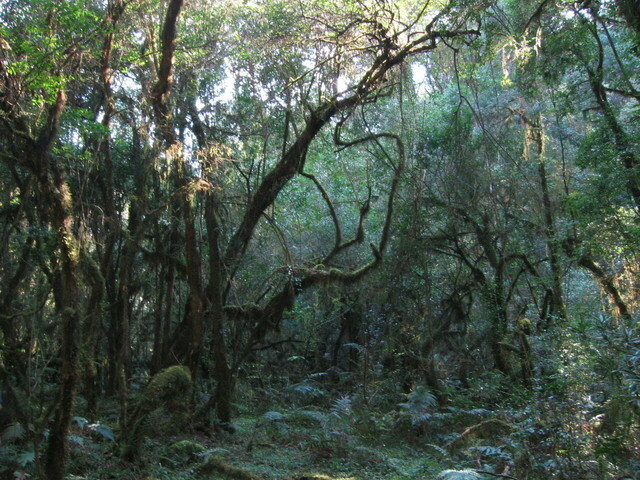 The forest is such a popular place for suicide attempts that there are signs reminding visitors to ‘Remember your children and family,’ and that ‘Your life is precious.’ If you’re brave enough to go in, you may even catch a glimpse of the yurei: the mournful spirits of those who spent their last moments between these trees. Whatever you find, you’re sure to walk away with a bigger scrap book and a ton of great stories to tell! Beechwood Lunatic Asylum, Victoria, Australia – Victoria, Australia is where people go to do a little bit of everything. You will get absolutely lost in your options for spas, and by the end of your trip, you’ll want to visit at least one! 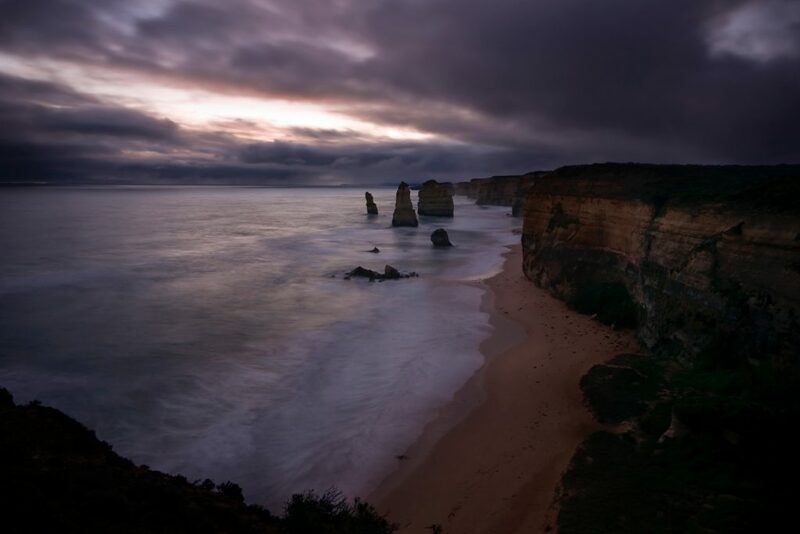 There’s also a dizzying array of gorgeous beaches ready to show you the beauty of the world, but we recommend visiting the 12 Apostles Beach for the best views. If you want an all-day adventure, you can go to Wilson’s Promontory where you’re sure to spot at least one kangaroo. When night falls, and your family is itching to get into the spooky spirit of Halloween, you can take a drive up to Beechwood Lunatic Asylum, originally known as Mayday Hills Lunatic Asylum. This institution was open for 128 years before closing in 1995, and its history would leave any horror film writer giddy with options. Maybe you’ll get lucky and see one of the famous apparitions, like the man guarding the cellar. Maybe you’ll feel a playful tug on your hair, or hear things that just aren’t possible. Whatever adventures you have at Beechwood, you’re sure to walk away with stunning pictures of the sprawling estate and 60-plus historical buildings. You’re also in Australia, you really can’t have a bad time there! Last on our list, but certainly not least, is Poveglia Island, Italy. You aren’t actually allowed to get on this island. It has a history of being used as a quarantine zone, home to a mental-institution-turned-geriatric-center that is now closed, and plenty of rumors about things that go bump in the night. In fact, recent attempts to restore the building were unexpectedly haunted. Add some shopping, and a boat ride from San Marco Square that might just get you close enough to snap some pictures of Poveglia Island, and your family has a new Facebook album that will be the envy of all of your friends. Take a trip to one of these spooky spots, or tell us about other haunted vacations on your itinerary. No matter where you travel, in every corner of the world you’re sure to find something wonderful, unique, and inspiring. If you ask around enough you may even find a local haunted spot or two. If you’ve got a spirit for adventure and a willingness to explore you are sure to make any vacation spot a unique adventure for you, your friends, and your family. Just make sure you take plenty of pictures and share with the world the wonders you find. After all, the best part of traveling is sharing the story. Ready for more? Read about Our 9 Favorite Haunted Places Around The World. October 7th is National Frappe Day, so it’s the perfect time to indulge in delicious frappe drink. With cold weather right around the corner, this might be your last chance this year to enjoy this cold, but oh-so-delicious beverage. The word frappé comes from the French language, and it means chilled, but the drink itself is a version of coffee that first became popular in Greece and Cyprus. Now, a version of it has spread all over the world thanks to Starbucks’ famous Frappucino, and McDonald’s Mocha Frappe, which actually don’t have a lot to do with the original recipe. The first frappé was made in Greece in 1957. The story goes that its invention was equal parts accident and desperation for a morning caffeine fix. One of the employees of Nestle Company couldn’t find hot water for his morning cup of instant coffee so he decided to make it with cold water and ice in a shaker instead. The drink turned out to be a hit – it looked gorgeous with its foam topping, satisfied sweet tooths and caffeine cravings, and took less than a minute to make. Before long, all the local baristas were serving it. 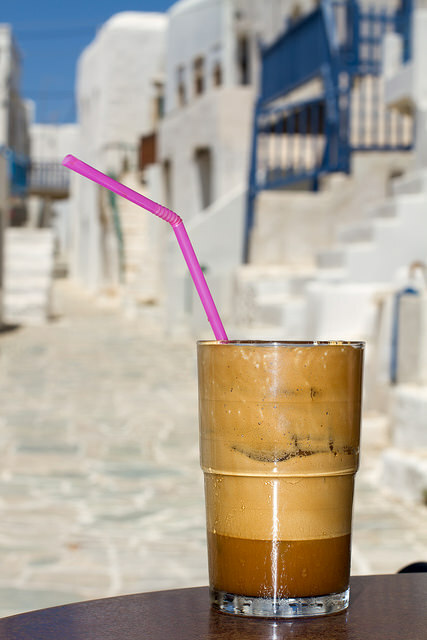 To this day, the frappé is the number one drink in every cafe in Greece. In the US, the frappe turned into a sort of coffee milkshake and most westerners have never actually tried the real frappé. But since today is National Frappe Day it’s the perfect opportunity to do just that! As an added bonus, doing it at home is cheaper and easier than going to your local coffee shop! And any toppings you like! Step 1 –Put the coffee and sugar into a shaker or a BPA-free plastic bottle and top with just enough cold water to cover the mix. Then shake quickly for about 30 seconds. If it’s foaming a lot, you’ve done it right! Step 2 – Pour the contents into a tall glass and add ice cubes along with milk or water to taste. Stir until everything is mixed and enjoy. If you’re looking for something a little extra indulgent, this is where your toppings come in! A little bit of whipped cream, caramel, or chocolate syrup will make it feel just like Starbucks. You can make this cool-looking, famous drink at home in literally 1 minute! Get fancy with your toppings and you have a perfect drink worthy of an Instagram shot! Impress your friends the next time they visit with your barista skills or pamper yourself and your loved ones with this frappé recipe, but beware, it is highly addictive, and you might not want to go back to your old way of having coffee! If you are one of those people who’s always looking for food inspiration from different cultures, here are some delicious, traditional Jewish recipes inspired by Rosh Hashanah (Jewish New Year), which is just around the corner. One of the holiest days in Judaism, Rosh Hashanah commemorates the creation of the world. It traditionally features sweet foods to symbolize the cycle of life and people’s hope for a “sweet” new beginning. Special challah bread, along with apples, honey, and pomegranate, makes the centerpiece of the celebration and becomes a tangible symbol of the holiday’s deeper meaning. Challah, a rich, golden loaf related to Russian and Polish babka bread, came to Jewish cuisine from Germany and quickly became one of the most popular traditional dishes. Though you can always buy challah from a bakery, making it at home is a wonderful way to connect with tradition and create a perfect loaf that will be a big hit with both children and adults not only on Rosh Hashanah but any other celebration. Step 1. In a large bowl, mix lukewarm water, yeast, sugar, oil, eggs, and half the flour with a cake beater. Add salt. Step 2. Add remaining flour and thoroughly knead with the dough hook or by hand. Let the dough rise for one hour. Step 3. Divide the dough into 3 equal-sized pieces. On a floured surface, roll the small dough pieces into ropes about 1-2 inches thick and 10-12 inches long. Pinch 3 ropes together at the top (it will be easier to do so if the ropes are thinner at the ends) and braid them. 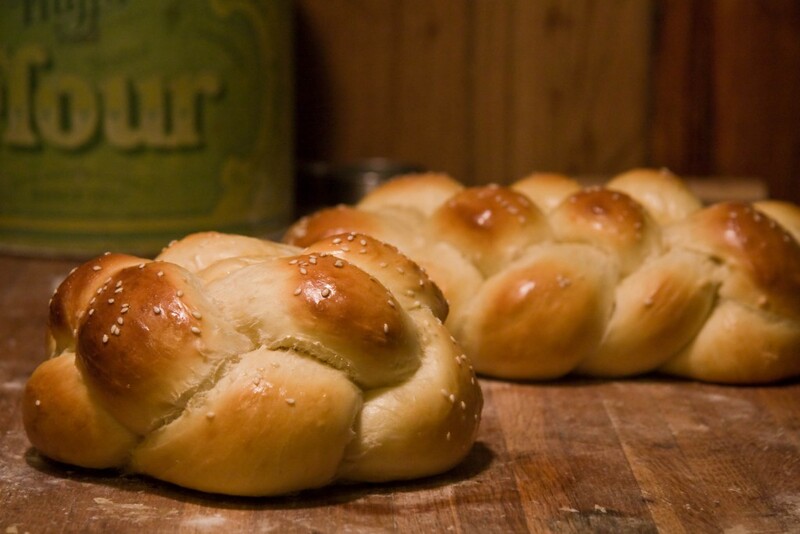 Let the braided challah rise for 30-45 min. If the dough is a little sticky, lightly grease your hands. Step 4. Whisk 1 yolk (or more if needed) with a little water and about 1 teaspoon of sugar. Brush the top of the challah for a sweet crust. Step 5. Preheat the oven to 350 degrees F (175 degrees C). Bake until the top browns to a rich golden color, and the loaf sounds hollow when you tap it with a spoon (about 25 to 35 minutes). Let it cool before cutting and enjoy! Rosh Hashanah literally means “head of the year.” Because of this, there another tradition of serving fish for this holiday, often with the head still on. An old symbol of fertility and wealth, fish dishes are quite popular on the Rosh Hashanah table. 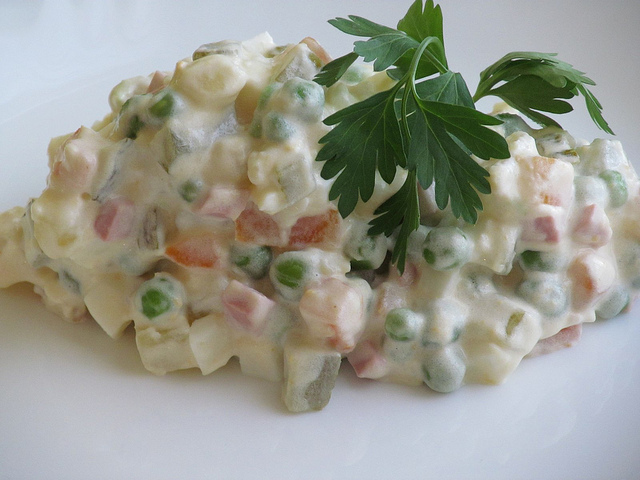 Having tried many holiday recipes featuring fish, we’ve agreed that the one below is one of the most delicious and simple among them. 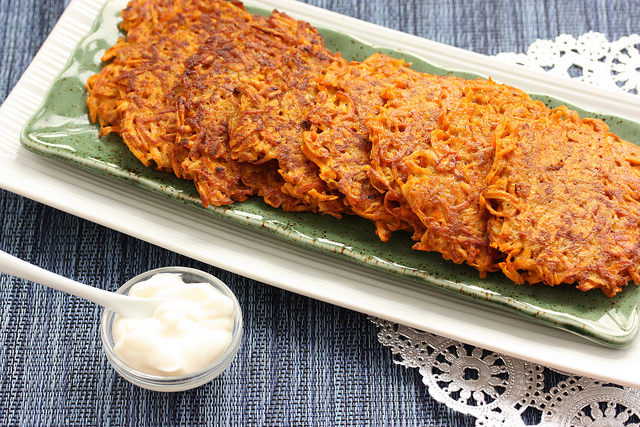 With only 4 ingredients and 4 steps to follow, you’ll have a healthy Jewish inspired dinner and still have plenty of time to spend with your guests. Step 1. Beat honey, butter, lemon juice, and lemon zest until smooth. Set aside. Step 2. Arrange fish fillets on a greased baking sheet. Lightly season with salt and pepper on both sides. Step 3. Preheat the oven to 475 degrees F (245 degrees C). 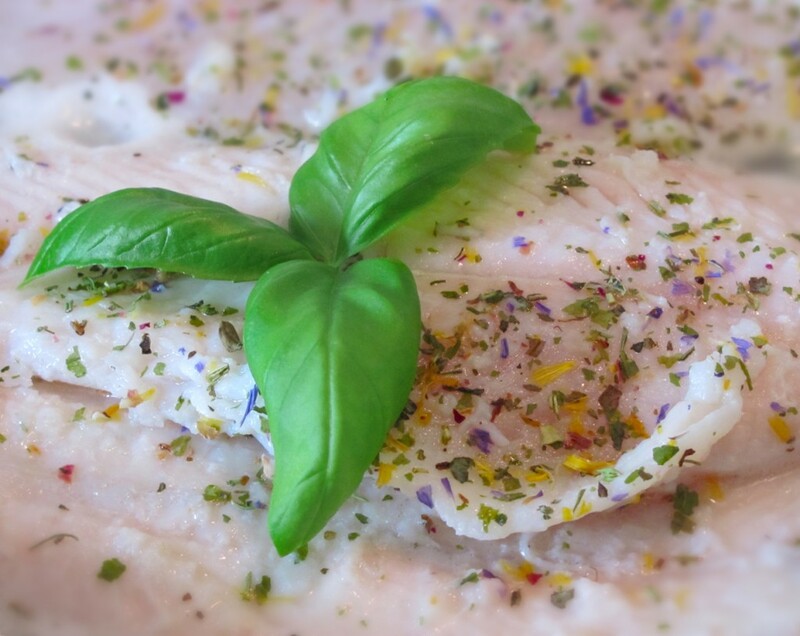 Bake fish until opaque and firm, about 10-15 minutes. Step 4. To serve, top each portion with 1 Tbl. Honey-Lemon Butter (see step 1) and a slice of lemon (optional). Now, You’re Almost Ready for Rosh Hashanah – What’s Next? Schedule your gift now, so you don’t forget. Browse Rosh Hashanah gifts to USA, Canada & 200 countries, and make sure your gift is delivered on time! Enjoy cooking? 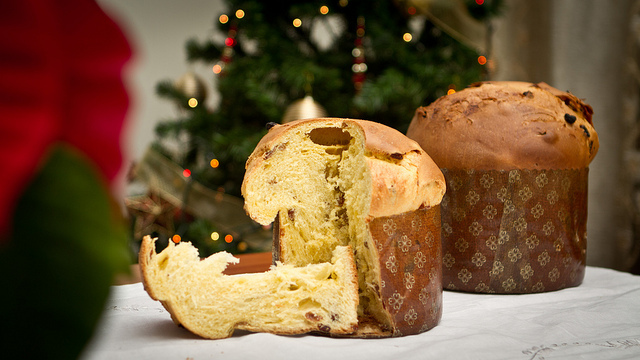 Check out our Favorite Winter Holidays Recipes From Around The World. GiftBasketsOverseas.com upgrades its payment system with Payssion to be more user-friendly and accept more types of payments around the globe. ARLINGTON, Mass., Sept. 9, 2016 /PRNewswire-iReach/ — GiftBasketsOverseas.com (GBO), the experts in international gift delivery, announced today that its checkout systems is now fully integrated with Payssion a leading global payment processor. GBO customers can now enjoy an even wider array of secure options to pay for their orders. The most recent upgrade to the company’s allows customers to use local payment options in Latin American, Europe, Middle East, Asia, and more. Customers will be able to seamlessly use bank transfers, e-wallets, or even cash payments with certain local providers for all of the GBO sites. The Payssion partnership allows customers to use the major payment methods of their country such as OXXO in Mexico, MOL Pay in Southeast Asian, Boleto or Hipercard in Brazil, iDeal in the Netherlands, and many others. Customers can view a full list of the payment methods Payssion works with here. This is just the most recent step that GiftBasketsOverseas.com has taken to make sure the company does all it can to make gifts available around the world, in the customers’ language, compatible with the customers’ preferred device, and now able to work with a number of payment options more familiar to customers everywhere. Mr. Peregudov has made it clear that the company has no plans to stop growing and innovating. “The more we can put technology to work for our customers without removing the comfort of our excellent customer service staff, the more we will.” He went on to boast that the site wasn’t the only thing that has changed. The entire GBO staff has undergone an overhaul as well, improving existing customer service skill sets, and hiring new employees to cover a larger variety of languages. With the holiday season fast approaching, GiftBasketsOverseas.com is already going full steam ahead to prepare the company for what the team believes will be their biggest year yet. 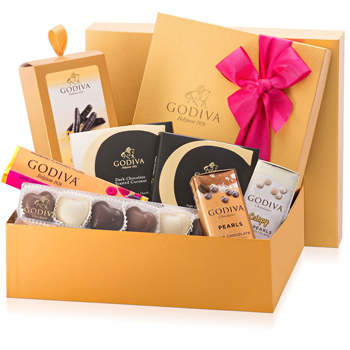 GiftBasketsOverseas.com is an A-ranked, BBB-accredited company based in the United States that specializes in delivering superior quality personal and corporate gifts to over 200 countries. GBO strives to provide online ordering convenience, excellent multilingual customer service 24 X 7, and secure payment options. Learn more at www.GiftBasketsOverseas.com, like GBO on Facebook, or follow them on Twitter.